It's amazing the effect flowers can have on its recipient. 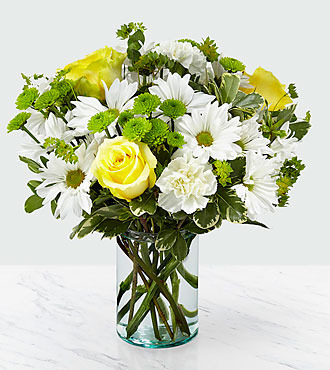 Through a collection of yellow roses set within a cylindrical glass vase, our Happy Day bouquet is sure to bring a smile to the face of whoever it's given to. Pure, long lasting enjoyment in a simple glass vase of carnations and mixed foliages. 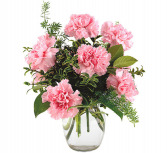 The perfect little treasure to show someone you care.Soft pink carnations are combined with rich greens. Arrangement shown as one-sided.